Jacksonville has a history of implementing simple concepts poorly in its quest to revitalize downtown. In the rush to convert downtown’s one-way streets into two-ways, Jacksonville needs to avoid the familiar trend of outright going the wrong way. Despite what you may have heard in recent years, converting one-way streets to two-way won’t necessarily stimulate downtown revitalization by itself. Such a conversion also won’t singlehandedly improve safety, livability or the economy despite what advocates tend to believe. In reality, for every one-way street lined with vacant storefronts, there’s a two-way street that struggles just as much. For every two-way street mentioned as an economic success, if you’re willing to look, you’ll find a one-way street that’s just as impressive. 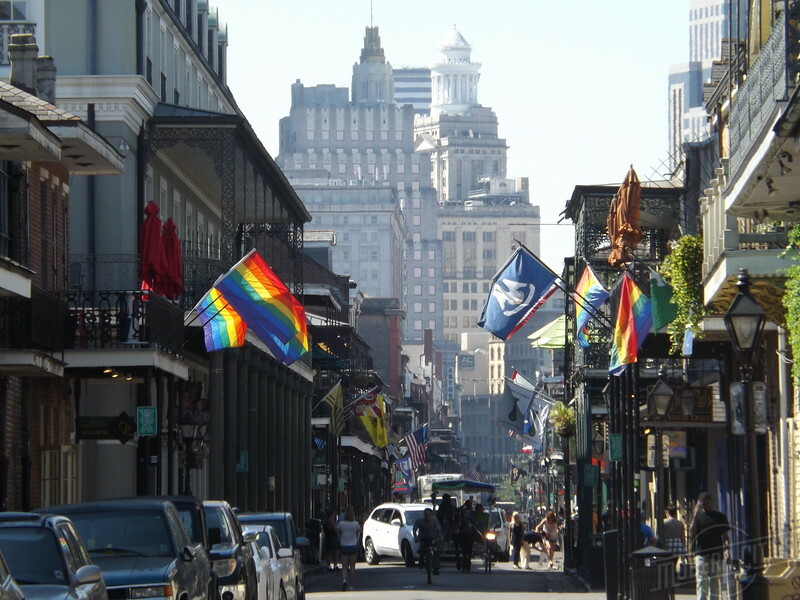 Bourbon Street in New Orleans is an example of a vibrant one-way street. Bourbon Street in New Orleans is a well known example of vibrant one-way downtown street. Closer to Jacksonville, Florida examples include Orange Avenue in Orlando and Miami Avenue in Miami’s Brickell district. While both one-way and two-way streets have their pros and cons, the most important thing Jacksonville should be focusing on is creating an environment where all modes of travel are equally prioritized. That’s largely achieved by traffic calming. 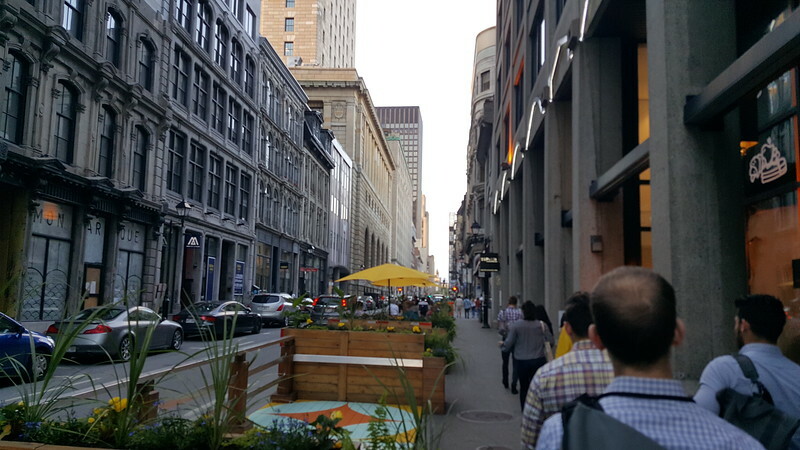 A vibrant one-way street in Old Montreal. With this in mind, here’s a few traffic calming techniques that should be considered regardless of the direction vehicles travel in.